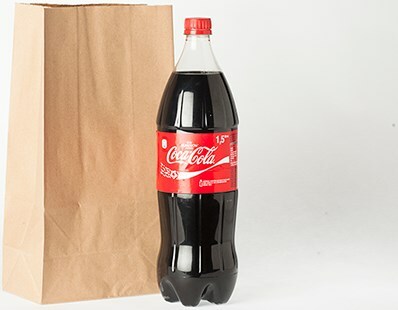 A bottle of orange juice (or any other small soda bottle) is put into a paper bag and then transforms itself into a full 1.5 liter bottle of Coke. 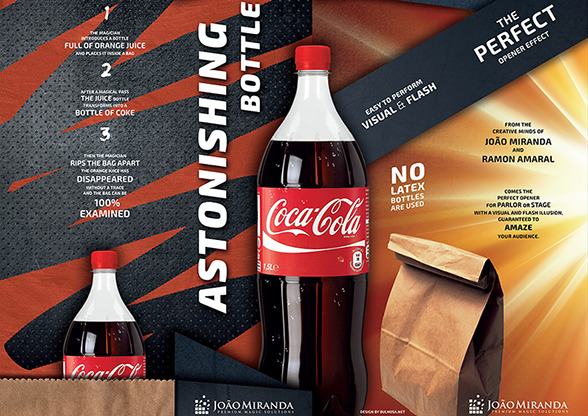 Then, to everyone’s surprise, the bag is shown empty and torn into little pieces – and it’s all done without latex! Sound impossible? Check out the video trailer with João Miranda. 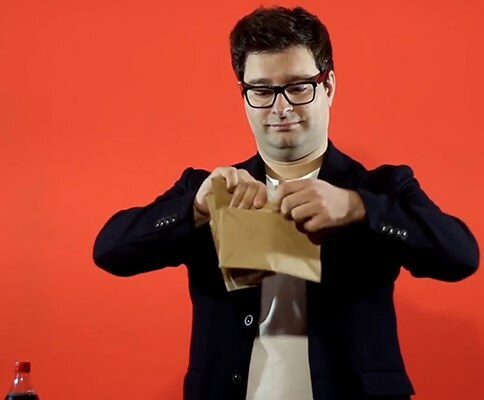 Together with Ramon Amaral, he’s created a brand new method for the classic Vanishing Bottle in a Bag that will fool and surprise your audiences (and magicians!). The method is a significant improvement on the latex bottle because instead of crumpling the paper bag as a finale, you tear it up (it’s ungimmicked) into little pieces. This is self-contained and super easy to perform. There are no body loads. No latex bottles are used. The gimmick does all the work for you. The bag is 100% empty at the end. 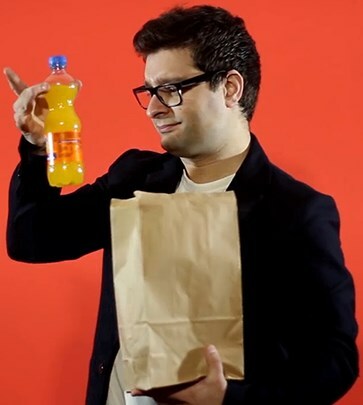 The OJ bottle can be completely examined before the performance. The effect can be performed up close in your client's living room. There are no angle problems. We think this is as great for corporate shows as it is for informal performances. 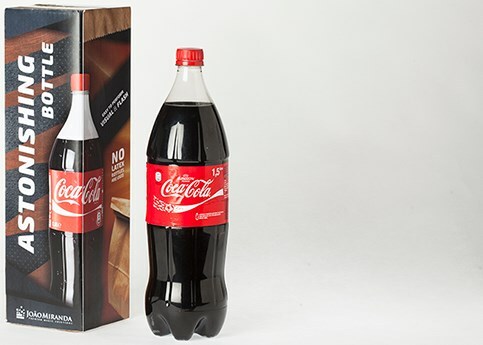 You can even customize the bottle! As we have come to expect from João Mirandas, the quality of his gimmicks is top-notch. Each one is handmade – a true labor of love. The method is going to impress you, too. 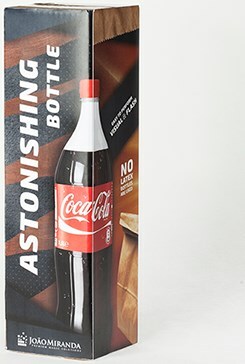 Bottom line… in the right setting, in the right slot in your show, the Astonishing Bottle will make an impact on your audiences that will be unforgettable.